Amazon.com Inc has hit on a new way to grab a chunk of the 9 billion digital advertising market now dominated by Google and Facebook Inc: sell video spots on the e-commerce giant’s smartphone shopping app. Amazon.com Inc has hit on a new way to grab a chunk of the $129 billion digital advertising market now dominated by Google and Facebook Inc: sell video spots on the e-commerce giant’s smartphone shopping app. Amazon has been beta testing the ads on Apple Inc’s iOS platform for several months, according to people familiar with the plan. A similar product for Google’s Android platform is planned for later this year, said the people, who asked not to be identified because they’re not authorized to share the information publicly. The brief video spots appear in response to search results on the shopping app, valuable space for advertisers since people searching for products on the app have a higher propensity to buy than those scrolling through Facebook or watching videos on Google’s YouTube. Amazon has emerged as a fast-growing challenger in the digital advertising market since it captures 50 per cent of all online sales in the US. Amazon’s digital advertising market share will grow to 8.8 per cent this year from 6.8 per cent in 2018, according to EMarketer Inc. Market-leader Google will see its share slip to 37.2 per cent from 38.2 per cent. Amazon, through a spokeswoman, declined to comment. A spokesman for Google didn’t immediately return a request for comment. Selling more video ads opens a new revenue opportunity for Amazon’s advertising division, which mostly sells space featuring brand logos, product photographs and descriptions that are the equivalent of digital billboards. Video ad spots are similar to television commercials and can deepen the power of promotion. Brands will spend nearly $16 billion on mobile video advertising this year, up 22.6 per cent from 2018, according to EMarketer. Advertisers are shifting their spending to follow the growing number of people watching videos on mobile devices and are making brief video snippets to appeal to people on the go. Such ads are common on YouTube and in Facebook streams. For years, Amazon refrained from selling advertising space on its site for fear of disrupting the shopping experience. Instead it used price, product descriptions and consumer reviews to determine which products were most prominent on the page. The site is increasingly a pay-to-play platform, with the top of the page dedicated to the highest bidder, a shift that has helped boost Amazon’s profits. Amazon began adding more product-related video content to the site two years ago to prevent shoppers from defecting to YouTube and Instagram to watch video demonstrations and testimonials from influencers not found on Amazon. Many of those video posts on other platforms feature links to sites other than Amazon where shoppers could buy products. Amazon’s lack of video content revealed a weakness in shopper engagement and product discovery other sites were doing better. The latest mobile video ad push is a continuation of that effort to put more product videos on the platform. Amazon is requiring a $35,000 ad budget to run the spots at 5 cents per view to run the ads for 60 days, one person said. Prices can vary by category and not everyone pays a fixed rate, said another person. 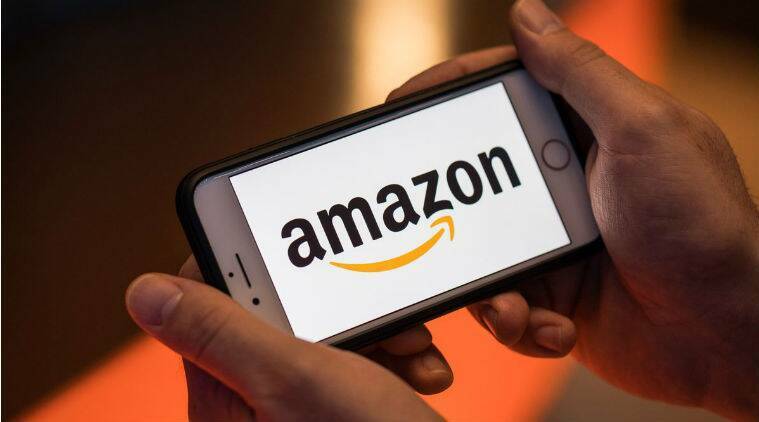 Selling video advertising on smartphone apps expands a product Amazon developed for its own devices like the Fire TV streaming device and Kindle e-readers to non-Amazon devices like Apple smartphones, which more people use to shop, said Collin Colburn, analyst at Forrester Research.